Saturday and Sunday - December 7 & 8, 2019. Make sure you put this on your calendar!! What is Tour de Clay? Tour de Clay is an annual event, a self-guided tour featuring 5 Tampa Bay area clay studios and the creative work of over 30 clay artists. 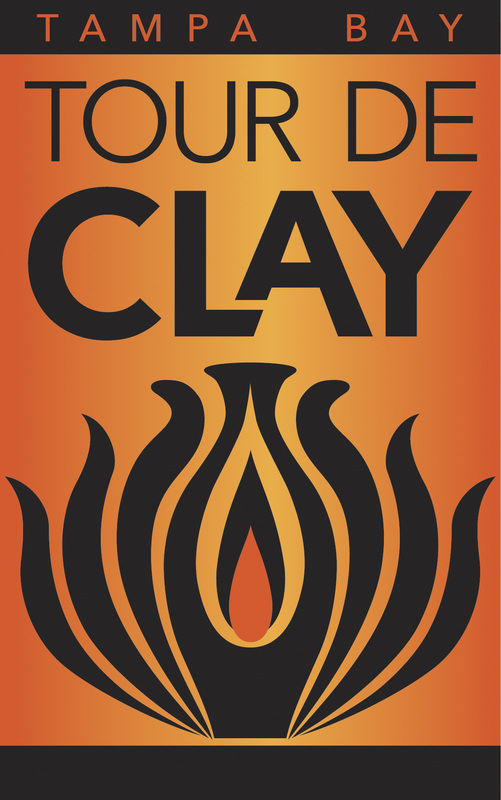 To make it easy for you to plan, Tour de Clay is always the second weekend in December. Each year features the work from 15 core members as well as a variety of guest artists. Great care is taken to bring fresh, new artists to the Tampa Bay Area just for this event. Saturday - This day is dedicated to progressive studio presentations, which may include pottery demonstrations, kiln openings, or general discussions about the potters found at each studio location as well as a bit about their individual creations. Sunday - The tour continues, those who have traveled to see all the studios often choose to return to the studios featuring work they would like to add to their own collection or perhaps pick up a piece for a holiday gift. 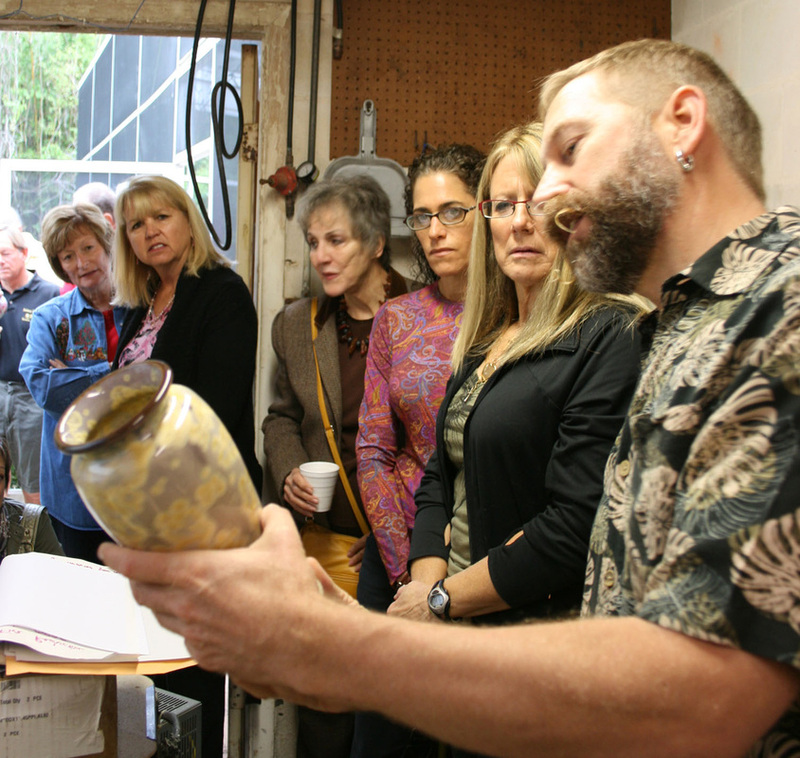 Glenn Woods shown above during a kiln opening discussing the results of his last crystalline glaze firing. In this photo he is discussing a technique called "post fire reduction" which may lead to color changes in the glazes. Kiln openings happen on Saturday and are staggered so attendees can make it to each of the studios for their studio presentation and kiln openings.